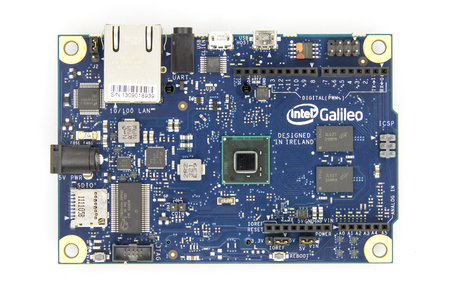 As we continue to focus on providing a great experience for Makers with Windows 10 IoT Core, we’ve made the difficult decision to discontinue Windows support on the Galileo platform. We’ve seen some fantastic innovation with the platform, but unfortunately, it does not meet the minimum hardware requirements for Windows 10 IoT Core. Please click here to learn more. A Intel divulgou os dados de seu novo computador do tamanho de um cartão, o Galileo Gen 2. Essa é a segunda geração da placa, lançada em outubro de 2013, que recebeu algumas melhorias, mas manteve o mesmo processador. O anúncio foi feito na mesma semana em que saiu a atualização do mini PCRaspberry Pi. You have a calendar application on your computer or a smartphone, but sometimes it might be useful to make it easily viewable to others (or even to yourself). This project describes how to make an Internet connected calendar. Particularly it uses Google Calendar service. The project is not complicated to make, but it assumes you’re familiar with Galileo (if not, read this excellentGetting Started Guide). Take a look at how cool Wyliodrin is! Usually programming embedded devices requires installing specific software. Using Wyliodrin makes it easier. All you need is a computer, a browser and an Internet connection. Sign up on Wyliodrin and start programming your boards. You can even use a public computer, as you do not need to install anything on it. Para um grande fabricante de hardware, notavelmente líder de processadores, era bem improvável ignorar o fato de que uma geração de criadores de eletrônicos (Do It Yourself ou faça você mesmo) está em formação graças ao Arduino e ao Raspberry Pi. Esta dúvida foi sanada hoje com a criação do Intel Galileo. Uma placa de baixo custo da Intel para entusiastas. 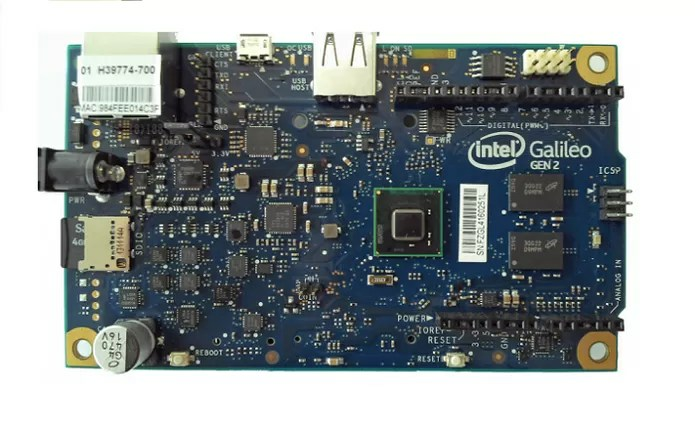 Galileo is a microcontroller board based on the Intel® Quark SoC X1000 Application Processor, a 32-bit Intel Pentium-class system on a chip (datasheet). It’s the first board based on Intel® architecture designed to be hardware and software pin-compatible with Arduino shields designed for the Uno R3. Digital pins 0 to 13 (and the adjacent AREF and GND pins), Analog inputs 0 to 5, the power header, ICSP header, and the UART port pins (0 and 1), are all in the same locations as on the Arduino Uno R3. This is also known as the Arduino 1.0 pinout.